A mainstay of the street food scene in Singapore and Malaysia. 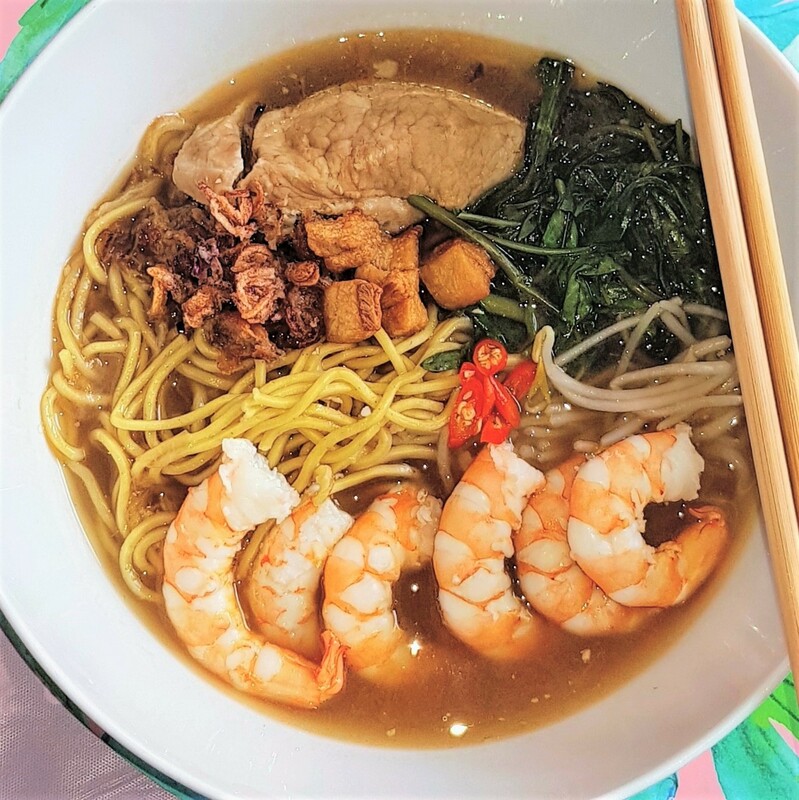 The dish is Hokkien noodles served in a stock that is made with pork bones and prawn heads/shells which gives it its unique flavour. The stock is sweet and savoury at the same time, which leads to lovers of this dish slurping to the bottom of the bowl. Each family will have their own version of this dish. This is my version of the dish, a variant of my mom's recipe. She didn't really give me a recipe though. This is based of what I remember while watching her cook, plus some tweaks of my own. Being a meat lover, I serve this with braised pork ribs. Also, when I serve this dish, I don't like shells on my prawns. Many famous stalls that leave the shells on, even after butterflying the prawns. Its a personal preference, I am using chopsticks and I don't really want to be putting them down to shell the prawns or to be spitting shells throughout my meal. I find it very distracting. Pork Bones - About half a kilo at least. Prawns - About 600 grams - Shelled, save the heads and the shells. Store flesh separately. Pork Ribs - About 600-800 grams - Cut to individual rib bones. Garlic - 1 bulb or a dozen cloves - Lightly crushed. 100grams - Egg Noddle or Hokkien Noodle per serving. The Pork Lard is optional. It is my opinion that it just takes the dish to another level. Cut the pork fat into 1 cm cubes or slightly larger. In a pan, slowly heat up the cubed fat. The lard cubes will start to sweat and you will see liquid fat will start to pool in your pan. Keep the heat medium low. Before long, the cubes will be swimming in oil. At this point you can turn up the heat to get a good browning on the cubes. Do not walk away if you can help it - as they can burn very quickly from this point. Once you get a nice brown colour on the cubes, separate the solids from the liquid fat. I like to store the crispy cubes in a paper-lined air tight container and the liquid fat in glass container. The liquid fat stores well in the fridge. Up to weeks. Try using them in your stir fries, its next level stuff. 1 thing to note when using pork fat with stir-frying, us a smaller amount than you would with regular cooking oil, or your dish might get a tad greasy. Heat up 2-3 Tablespoons of oil (or Pork Fat - recommended) in a large stock pot or a wok. Add the garlic, white peppercorns, ginger and the prawn heads/shells and roast till the shells turn pink/red and garlic just starts to brown. Add the oyster sauce and continue roasting. You want the oyster sauce to start caramelizing but not burn. If you are doing the roasting directly in the stockpot, add in 2.5 litres of water. If using a wok or frying pan - deglaze with some water, about half a litre or so. Bring to a boil and then transfer to a large stockpot then add the rest of the water into the pot. Add the pork bones, chicken cube, sugar, Light and Dark soya sauce into the pot. Cover and bring to a boil. Then lower the heat and let simmer for 2 hours. Tates and adjust as needed with Soya Sauce, pepper and sugar. Optional Step - Strain the stock. Save the pork ribs and you can discard the rest of the solids. Or you can just pick out the ribs with and strain the stock as you ladle it into serving bowls. Have large pot of boiling water ready. Blanch/cook each serving of noodles according to package instructions and place in the serving bowl. Blanch/cook each serving of the beansprouts and kangkong and place in the serving bowl. Blanch each serving of prawns in the stock for 2-3 minutes and place in the serving bowl. (Be careful not to overcook). Place desired amount of pork ribs in each serving bowl. Ladle hot stock into the bowl. Garnish with Shallots, Crispy Lard Cubes and Chillies as desired. I was actually inspired by a Vietnamese noodle/salad bar in South Australia. The fragrant aroma of the chicken being grilled was what drew me into that little stall in the Adelaide CBD. Its savoury, sweet and fragrant. This dish is an easy crowd pleaser, especially in a barbecue. When cooking at home in the oven, the aroma just fills the place. It is actually a variation of the chicken recipe in the Thai Chicken Salad I posted some time ago. 1. Mix all marinade ingredients in a small mixing bowl. Then marinade chicken in the mix, for at least an hour. 3. If cooking over a grill or barbecue, cook skin side down first, over medium heat. Should take about 6-10 mins (Depending on how hot your grill is) to get that nice rendering you want on the skin. Then flip them over, grill until cooked through. About another 5-10 minutes or so. 4. Let the chicken rest for a few mins. Toss with the spring onions, shallots and Thai sweet chilli sauce. Serve. My first post in a long while. Relocation and adjustments to deal with. Hope to have more posts in the future. This is comfort food that is very simple to put together. Inspired somewhat by all the beef Pho around near where we live. 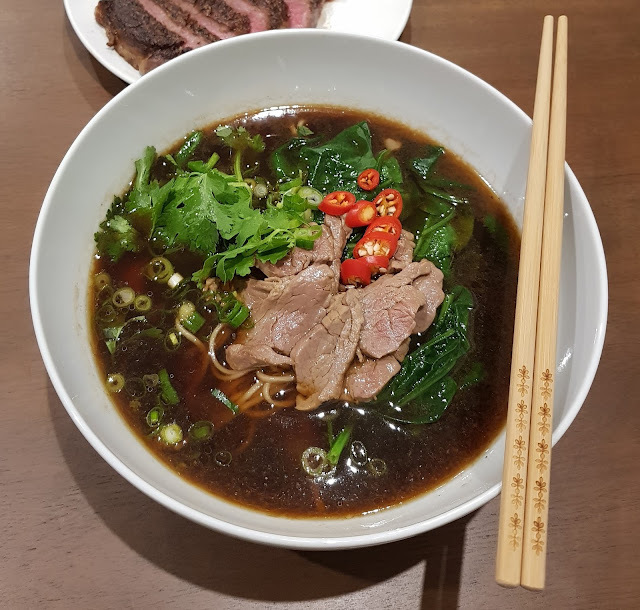 While not the same thing, its more of a short cut beef noodle soup dish that one can put together with relative ease after work. Especially on a cold day, this is so good. The trick to a quick dinner prep is to actually do most of the work while the broth is simmering. Literally can be done in 45 mins or less and way more satisfying than instant noodles. You can use your own homemade beef stock, which is highly recommended. In a pinch, store bought works fine. 1 bunch Corriander Root – washed clean and crushed with the side of a knife – Reserve leaves for garnish. 400-600 grams Beef Tenderloin (Eye Fillet) – Thinly sliced. Cut the corriander at the stem, about 2 inches above to root. Wash clean, set aside the leaves and root separately. The leaves will be used when serving. Drizzle a little light soy sauce over the beef and mix. Set aside. In a large pot or stockpot, heat some cooking oil (about 2 tablespoons) over a medium heat. When oil is heated up, put in the Garlic, peppercorns, coriander rood, shallots, star anise and cinnamon. Fry until fragrant. About 5 mins. Browning on the garlic and shallots is good, just don’t burn them. Add all the beef stock into the pot. Add the soy sauces and oyster sauce and fish sauce. Stir to mix well. Bring to a boil and then lower heat, allowing to simmer for about 20mins. While the broth is simmering, cook your noodles according to packaging instructions and portion into serving bowls. Blanch vegetables and portion into serving bowls. Turn off the heat in the stockpot. Pour or ladle half of the broth into each serving bowl through a strainer. The heat from the hot broth should cook the sliced beef just right. If you are not comfortable with rare beef, just blanch the beef in small bowl of the broth prior to serving. This is a refinement of an earlier post - Thai Minced Beef Stirfry with Basil. But I used chicken this time. Hoping for more Thai authenticity. So there is no sesame oil. I did use dark soya sauce for some sweetness and colour. Relied mainly on fish sauce for salinity. 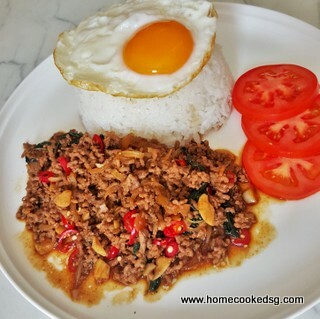 I find this recipe works better, at least I enjoyed it alot more that the minced beef one. I that find adding the basil leaves at the end preserves more the fresh basil hit. 3-4 Kaffir Lime leaves - you can use them whole or thinly sliced. 1. Season the meat in a large bowl with 1 tablespoon of fish sauce, pepper and corn flour. Mix well. Leave for at least 30 mins. Using corn flour or corn starch is a technique that helps the meat stay tender and also helps with flavour retention of the meat you are marinating. 2. In a small bowl, mix the rest of the fish sauce, sugar, soy sauce mix well. 3. 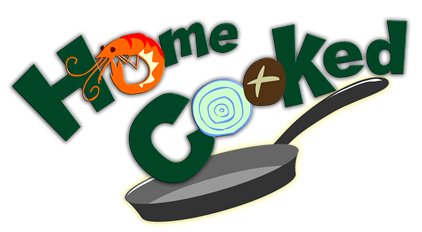 In a large wok or frying pan, heat about 2 tablespoons of cooking oil over medium high heat. When oil is heated (Its starts to shimmer and moves around the pan more easily). Add the chicken and fry until the chicken starts to brown a little on the outside on all sides (About 8-10 mins). Turn off the heat. Remove the chicken and set aside. Note: If you left the skin on the chicken, its a good idea to ensure the skin is rendered for additional flavour. Un-rendered poultry skin can be a put off, at least to me. 4. There should be some oil left from frying the chicken. (If you left the skin on, there will probably more oil left in the pan than you need. You can mop some of it with a paper towel if you have to.) Turn the heat back up to medium. When oil is heated throw in the onions, garlic, chillies and lime leaves. Fry for about 4-6 minutes, sweating the onions and garlic a little, till they just start to brown and then Add all of the sauce mix. Mix well. 5. Add the chicken back in next. Stir fry for another about 5-8 minutes then add all the basil leaves and turn off the heat. Mix well, until the basil leaves are wilted. 6. Serve with steamed rice and a fried egg. Note: For added authenticity, the Thai street style fried egg is not the same as your "non-stick pan" sunny side up. The That street one actually use quite a bit of cooking oil. Almost shallow frying the egg till you get crispy edges and the yolk remaining runny. A really great way to get maximum enjoyment from a cheaper cut of meat. The wine and stock keep the meat tender and moist. I mean really moist. I find serving this with squash and carrots make for a great meal. 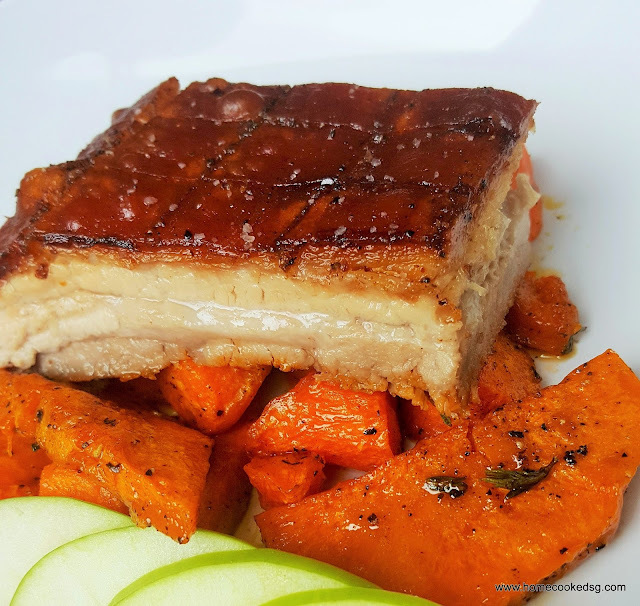 This is similar to my other pork belly recipe, but this has Crackling, how can you go wrong with proper crackling? 1. Dry the skin of the pork with a paper towel, then score the skin with a 1.5cm (does not have to be exact) checkered pattern(it will help with portions later) with a very sharp blade (Like a Stanley knife). Season thoroughly with salt and pepper, using your fingers to rub in the salt and pepper. Set the pork aside. 2. If your roasting tray can go on the stove, heat some cooking oil over a medium heat. When the oil is heated, lightly brown the carrots, chilli flakes, onions and garlic. 2b. Alternative method is to use a saute pan and transfer the contents to the roasting tray after browning. If using a pan, deglaze the pan with some stock to get all the tasty browned bits off the pan and into the tray. 5. Let the pork rest for about 10 mins before carving. Use a serrated knife. Serve with your favourite grilled veg and some of the braising liquid. 6. Optional step - make a roux, about 1 tablespoon worth and mix it with the strained braising liquid for a great sauce! One of my favourite dishes when I was posted to Thailand almost 20 years ago. Colleagues and I would look out for stalls selling this dish. Also a very common dish over there. I find myself cooking this whenever really fresh Thai Basil pops up at the local market. My rendition of this dish includes dark soy sauce and sesame oil, as I feel it adds some punch to the dish. The traditional recipe probably would not have used soy and sesame oil. Also to note, purists would not use anything other than fish sauce for salinity. 1. Season the meat in a large bowl with 2 tablespoons of fish sauce and pepper. Mix well. 2. In a small bowl, mix the rest of the fish sauce, sugar, soy sauce and a drizzle of sesame oil. Mix well. 3. In a large wok or frying pan, heat about 2-3 tablespoons of cooking oil over medium high heat. When oil is heated (Its starts to shimmer and moves around the pan more easily) throw in the onions and garlic. Fry for about 2-3 minutes, sweating the onions and garlic a little. 4. Add the meat next. While frying, use the spatula to break up the meat a much as you can. Fry for about 5-8 minutes, until the meat is about halfway cooked through. 5. Add in the chillies, lime leaves and the sauce mix. Mix well. Continue to fry until meat is cooked through. About another 7-10 mins or so. Turn off the heat and add in the basil leaves, mix well until wilted. This is a popular dish in Taiwan. The 3 cups refer to the 3 elements that make up the sauce. Rice Wine, Soya Sauce and Sesame Oil. Combined with generous amounts of garlic and basil, the cooking process of this dish creates an appetising fragrance that permeates the whole home (well my little apartment anyway). The result is a really tasty dish with punchy bold flavours that is nutty, savoury and slightly sweet at the same time. A dish of Taiwanese origins, I believe that a cup refers to the Chinese Tea cup that is about 100ml or so. As opposed to to the metric cup of 250 ml. Here are the ingredients, serves 2-4. Depending on how much other food you have at the meal. 500 grams Chicken Thighs - Roughly chopped up, about 1-2 inches size chunks. 2 Tablespoons Soy Sauce, plus extra for seasoning. 1-2 Birds Eye Chillies - Roughly cut up. Small bunch of Thai Basil (Or Continental if you can't find Thai ones) - Leaves only. 1. Season the chicken with some soy sauce and ground white pepper and set aside. 2. Heat a large wok or large suacepan over medium heat. Add in the sesame oil. When the oil is heated. Add in the all the garlic and ginger. Fry for about 2 minutes until fragrant. 3. Then add in the chicken, chillies, mushroom and capsicum. Spread the chicken around the pan or work. You want nice browning on the chicken pieces. Stir fry until the surface of the chicken pieces turn light brown. About 5-8 minutes. 4. At this point, add in the Shaoxing wine, both Soy Sauces and sugar. Stir Fry for about 3 minutes, mixing everything well. 5. Cover and lower the heat. Simmer gently for about 10-15 minutes. This allows the chicken to cook through and absorb the sauces. 6. Remove the cover, toss in the basil and spring onions. Stir fry for about a minute. Chilli Con Carne - Actually means Chilli with meat. Recipe variations are really wide. E.g. There are those who believe beans and tomatoes should not be included and there are those who differ from that point of view. The recipe changes from state to state in the US and Mexico. I got inspired to try my hand at this dish after watching an episode Diners Drive-ins and Dives on Foodnetwork Channel. I brought this dish to two pot lucks and it was very well received at both. Its an awesome dish for a pot luck as it can be made the day or even days before. It will taste better after spending some night(s) in the fridge. 2-3 sausages (spicy Italian kind preferred) - Diced up. 1 Red Capsicum - Diced. 1 cup - Shredded Cheddar. Tip - If too spicy, add some more sugar. 1. Add the bacon into a large stockpot over high heat. Fry for about a minute. Add the diced onions and capsicum and fry for about 3 - 5 minutes (Until they soften and onions turn translucent) Add the garlic and saute for another 1 or 2 minutes. 2. Add the chuck and sear for about 4 minutes (If using) and then add the ground beef and sausage and sear, stirring gently, try not to break up the ground beef too much. Cook until the meat is nicely browned and cooked through should take 6 to 8 minutes. 3. Add the chilli powder, paprika, coriander, cumin, garlic powder, onion powder, ground black pepper, salt and cook until the spcies release their aroma, about 3-4 minutes. 4. Add the tomatoes and tomato puree. Cook out the tomatoes and puree for about 4 minutes. Stir in the beer and stock. Use the liquid to de-glaze the pot, mopping up any brown bits sticking to your pot. Add the kidney and pinto beans(with all the juice from the cans, as the starch will help tighten up the chilli). Serve the chilli in bowls, garnished with Spring Onions and/or Corriander and Cheddar. Great with Fries and Tortilla Chips! Enjoy! Haven't been posting in a while. Sorry for the long hiatus. I did a few BBQs that involved steaks and I had some folks asking this question, "How to cook a good steak at home?". Since its way past due for a new post. I thought I'd post something about how I do my steaks at home. 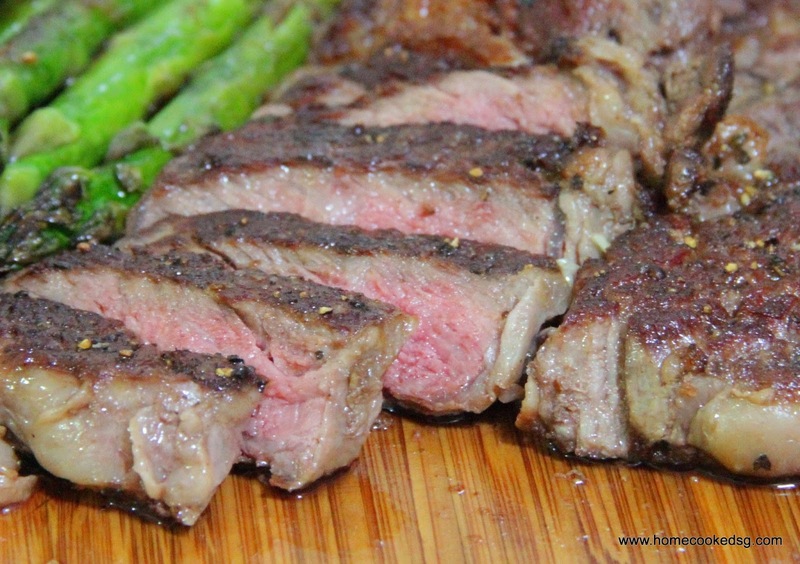 Cooking steak at home is not hard nor is it every complicated. It does take some practice however. Getting to know your Most of the work is done while choosing the steak. Choosing the right cut at the butcher's. A cut that is right for you and suits your preferences. General Rule of thumb, the more the muscle is used the stronger the flavour of the meat/cut. After choosing the right cut, now you start to prepare the steak. There are different schools of thought (eg Salt aging, cooking from frozen etc...) but I will not cover them all here. I will just cover the method I use the most. 1. Let the meat reach room temperature if you have the luxury of time. Should take about 30mins to an hour outside the fridge. 2. When ready to cook, pat the beef really dry with a paper towel. Then season both sides assertively with salt and pepper. 4. To get it medium rare, typically takes about 2-3 minutes per side. If you like a good sear, avoid flipping your beef back and forth. When on the second side, I typically like to finish of with a knob of butter, a few garlic cloves (lightly bruised with skin on)and some thyme. Baste the steak with the melted butter during the cooking. 5. Remove from the pan and let the beef rest for half the cooking time before serving. 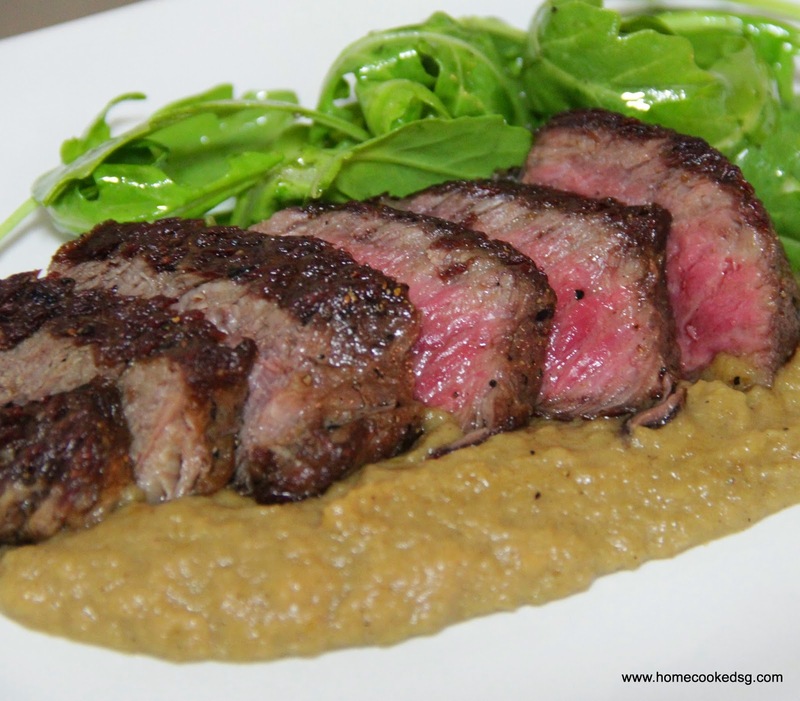 Hope this will help you create a great steak dinner at home. Onion Purée, some would say it goes great with a lot of different foods and I will not disagree with that. Personally though, I love it with well seared beef or pork chops. Caramelizing the onions bring out a sweet nutty flavour from the onions. This is a sweet and savoury side that I really like. Its really simple to make, but does take a little time to get done. Here is what you'll need to serve 4. 2-3 large yellow onions - Thinly sliced or diced. 1. In a medium large saucepan or deep-sided sauté plan, melt 1 tablespoon of butter over medium heat. Then add in all the sliced onions. Stir well to incorporate the butter with all the onions. Stir frequently to help the onions brown at relatively the same rate and to prevent burning. Might be difficult in the beginning due to the quantity and size of your pan. The onions will shrink alot as they cook. Do this until the onions soften and get to a nice golden brown. Should take about 10-15 mins. 2. At this point add the beef stock a little bit at a time. Cook until all the liquids have greatly reduced. This step also serves to de-glaze the pan, incorporating the browned goodness from the base or sides of the plan. Continue stirring frequently until the onions reach a nice brown colour. Probably another 3-5 minutes or so. 3. Turn off the heat and put all the onions in the food processor and blend till smooth. Remove and place in a large bowl. 4. Add the mustard and remaining butter, season with salt and pepper to taste. The wife loves baked eggs in a tomato based sauce. So I decided to make this for breakfast one day. We both love little spicy kick in our food sometimes, (Actually its most of the time for me) so this is my spicy rendition of a great brunch dish. The trick is timing the bake, so as not to overcook the eggs. Here's what you'll need to serve 2. 4 Eggs - Cracked into 2 bowls. 2 eggs in each bowl. 1. Pre-heat your oven to grill/broil. 2. In a oven-safe frying pan, heat some oil over medium heat. When the oil is heated, fry the sausage chunks until they achieve nice browning on the surfaces. Remove sausages from the pan and set them aside, leaving the oil behind. 3. 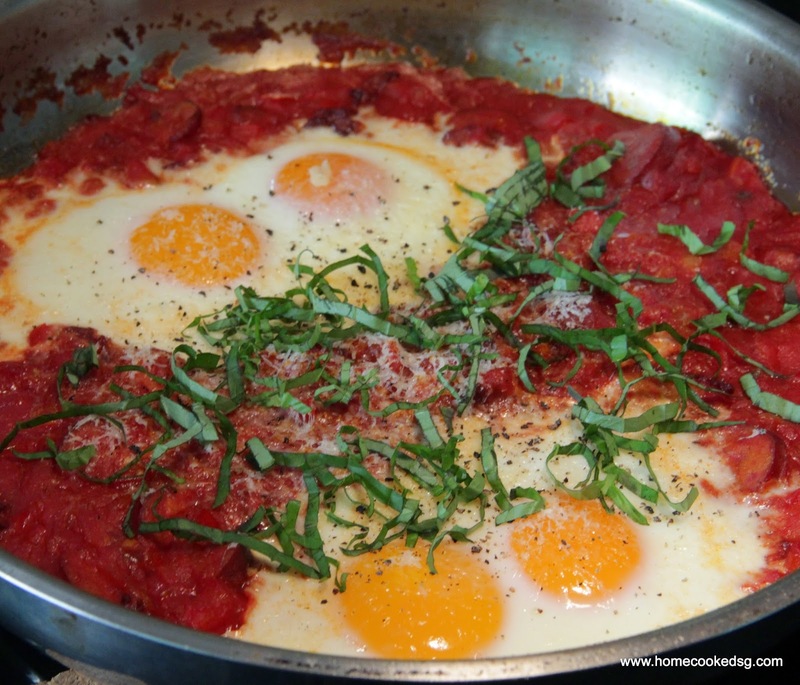 Make a couple of little wells in the sauce with a spoon or ladle and pour the eggs in. Place the whole pan in the oven and grill for 6-10 minutes. (Depending on how runny you like your eggs). 4. Remove from the oven, garnish generously with basil and grated Parmesan. Drizzle some extra virgin olive oil if you like. Serve immediately with crusty bread. 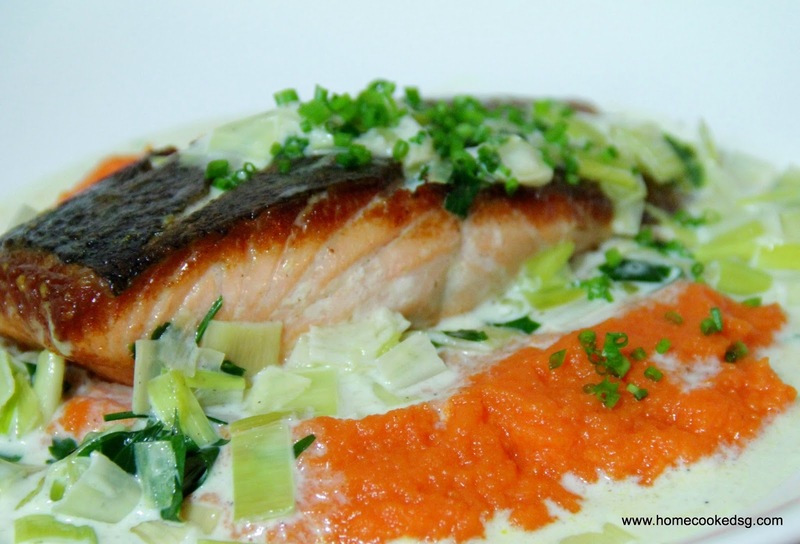 Pan Seared Salmon with Carrot mash and Leek Cream sauce. I was at a nearby supermarket and the salmon fillets and leeks looked really good that day. I decided to use them both for dinner so I bought both, together with some cream and carrots and went home and made dinner. Very enjoyable dinner. The leek infused sauce really brought the dish together. I thought the highlight was the crispy skin on the Salmon. Getting that skin nice and crispy is so crucial to the enjoyment factor of this meal. Here is what you'll need for 4 servings. 4 Salmon fillets - About 200 grams each. 1. Boil the carrots for about 40 mins in salted water, until they are soft enough for a fork to go through them easily. Strain and set aside. (alternatively, you could bake them wrapped in foil for about 45-60 minutes in an oven at 160 degrees Celsius). 2. Let them cool for a while then puree in a food processor or blender. To ease the blending use some milk if needed. Season with salt and pepper to taste. Mix in 1 tablespoon of butter. Set aside. 1. In a frying pan over medium heat, melt some butter. When butter starts to heat up and bubble, add in the leeks. Fry the leeks until they soften and start to give off a nutty aroma, just before they brown. Should take 3-5 minutes. Then add the cream and parsley. Turn of the heat when cream is heated up or boiling. Set aside. 1. Season the fillet with salt and pepper. Heat some oil over medium heat in a frying pan. When oil is heated up, lay in the salmon, skin side down. Cook for about 3 minutes and turn over and cook for about 1-2 minutes. You want the skin nice and crispy. Cooking times may vary based on the thickness of your fillets. If your skillet/pan is not big enough to cook 4 at the same time, you may need to cook in batches. When done, remove the fillets from pan and set aside. Serve the Carrots and Salmon together and pour the sauce over the fish and carrot. Garnish with chives if using and serve immediately.